Rihanna attends Rihanna Fenty Beauty Presentation in Madrid on Sept. 23, 2017 in Madrid, Spain. 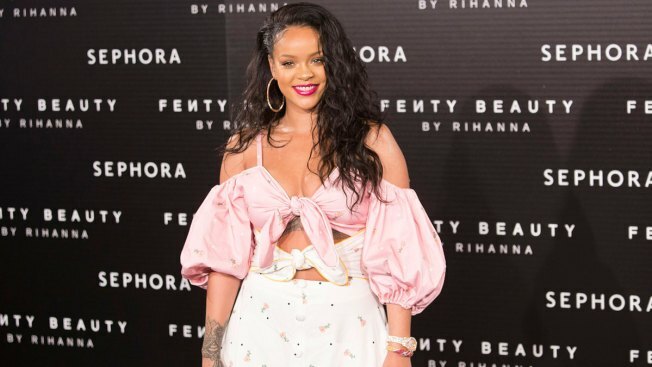 Following an ad on Snapchat that made light of domestic violence, Rihanna expressed her disappointment. Snapchat has removed a distasteful ad from the popular social media app after making light of domestic violence, specifically Chris Brown’s 2009 felony assault against Rihanna. Snapchat told the BBC that the ad was published in error and had been removed immediately. Rihanna expressed her disappointment in Snapchat on her Instagram story. The pop star said Snapchat let down all the women, children and men that have been victims of domestic violence and the ones who haven’t made it out yet. According to the New York Times, stock prices for Snap Inc., the parent company of Snapchat, sank 4 percent following this incident. Brown pleaded guilty to felony assault and received five years of probation after he hit, choked, bit and tried to push Rihanna out of the car in 2009. Rihanna had visible facial injuries following the incident which required hospitalization. NBC has reached out to Snapchat for comment.